There was a time not too long ago when if you asked me what my favorite movie was I might have told you Mulholland Drive. There's a lot going on in the film and I certainly won't claim to understand all of it (something I might have done when it was my "favorite movie"), but I do have a reading of it that seems to answer a lot of the questions it poses, so here goes. 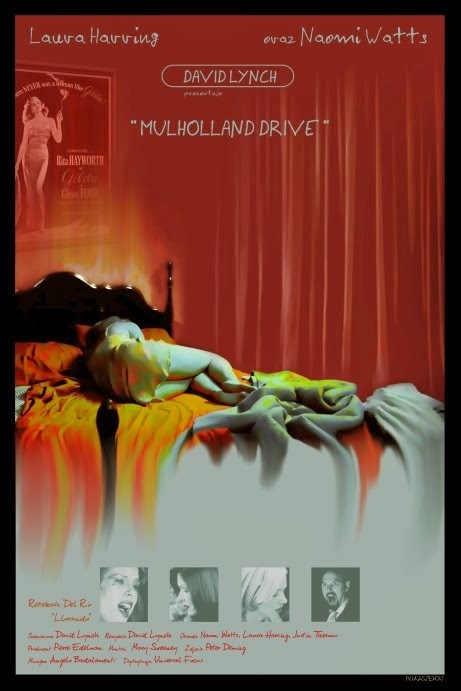 No specific spoilers (hence no spoiler tag), but if you haven't seen Mulholland Drive you really ought to see it as blind as possible. Naomi Watts (Betty/Diane): In reality, she's living in Hollywood but seems to have lost control of her life. Her apartment is a mess, the woman she loves is engaged to be married, and she's only offered small roles in the movies she auditions for. In the dream, she's staying in her aunt's beautiful apartment, the woman she loves loves her back, and she's given bigger parts in better movies than what she tries out for. Laura Harring (Rita/Camilla): In reality, Naomi Watts wants her but can't have her, so in the dream she becomes an amnesiac (a blank slate for Watts to project her desires onto) who can only remember Naomi Watts's name (her real life name "Diane", not her fantasy name "Betty"). Watts's character is literally the only thing in her life. Justin Theroux (Adam Kesher): In reality, he's engaged to Laura Harring, making Watts jealous and angry (he seems to flaunt their sexuality in front of her). In the dream, Watts makes him into this impotent, petty, bumbling version of himself (he's still a director, but he's not allowed to cast his movie the way he wants, and his girlfriend cheats on him, and he's generally shown to be a pawn controlled by the mafia, the cowboy, etc.—essentially, she takes away his agency). Melissa George ("Camilla" in the dream): In reality, she's a close friend of Harring (Watts sees them kissing), so in the dream Watts's jealousy turns her into an actress who only gets work because the mafia force Theroux to accept her. Mark Pellegrino (Joe Messing the assassin): In reality, he's a hitman hired by Watts to kill Harring. She regrets this decision (seen in the way she looks at the key which signifies the job is done), so in the dream he becomes a fool who spends his time with hookers and accidentally kills more people than he intended to (one of the film's funniest scenes). Much more than being a simple "it was all a dream" twist, the film's dual nature offers us insight into the relationship between fantasy (our frame for understanding the world around us) and fiction (in this case, cinema). Everything about the first half of the movie is self-consciously theatrical. The performances are obvious, the lighting is overdone, and the story is filled with overused tropes and cliches (e.g. police detectives, a case of mistaken identity, etc.). The first half is like a movie being created in Naomi Watts's mind. 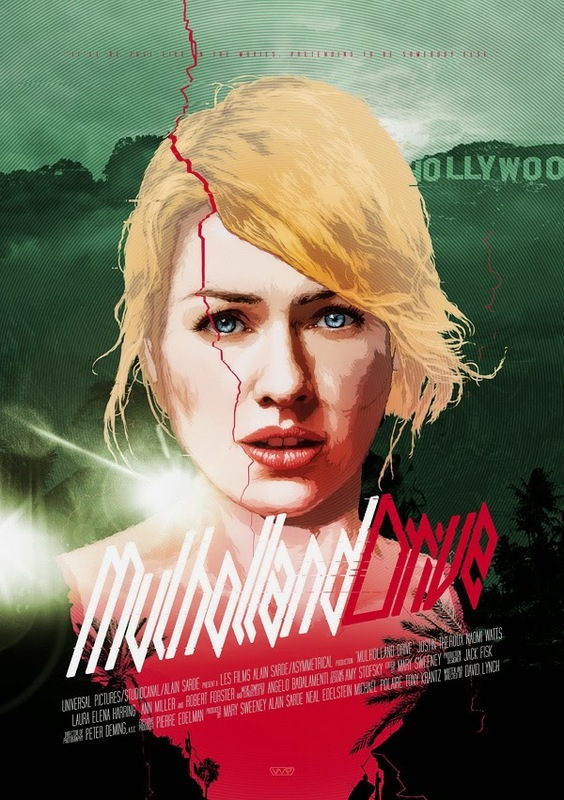 It's obvious that movies are essentially fantasmatic (whether they're constructed from the fantasies of the author or as fantasies for the audience), but Mulholland Drive offers us the opposite truth: that these fictions come to determine our fantasies. That the way we understand the world is by filtering it through the fantasies offered to us in the world of fiction. That we give meaning and purpose to our chaotic lives by understanding them as a narrative. That (as Lacan says) truth has the structure of a fiction. - When Naomi Watts (as Batty Elms) calls the number for Diane Selwyn, she says, "It's strange, calling yourself." What's interesting about this line is that she is actually calling herself (her real name is Diane Selwyn and we hear the voicemail message again in the second half of the film when Watts is at home in reality), but she doesn't know that yet—she thinks she's calling Laura Harring (as Rita). - When Naomi Watts and Laura Harring go to club Silencio (still in the dream/fantasy), Rebekah Del Rio sings a song called "Llorando" which accurately describes the couple's relationship in reality (translated: "I love you even more / than I did before / but darling what can I do / for you don't love me / and I'll always be / crying over you"). It's appropriate then that the song is sung in Spanish (Watts's attempt to cover up her trauma); however, it still seems to hit too close to home, because it's after this moment that Watts decides to use the key (which in reality signifies Harring's death) and we transition to the second half of the film (the "real" half). 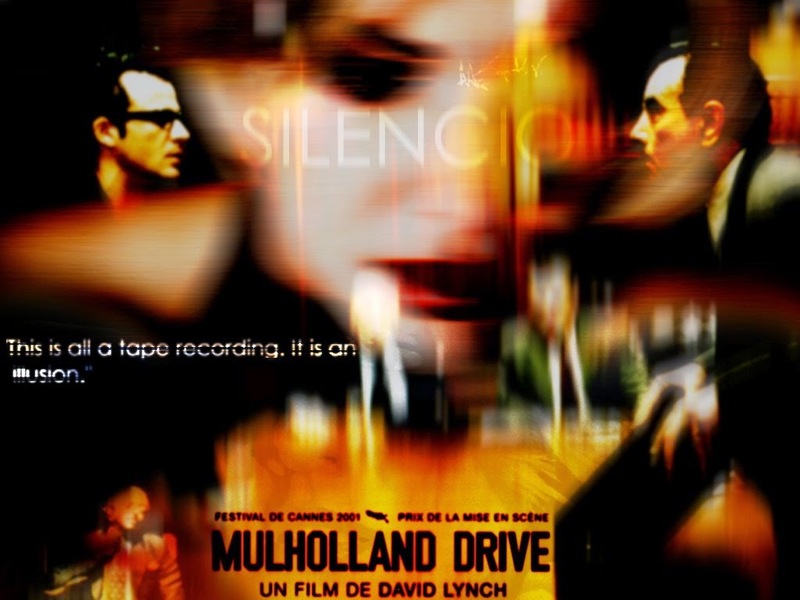 - David Lynch originally planned for Mulholland Drive to be a TV series, and he famously struggled with ABC to the point that when he lost support for the project he initially rejected funding to turn the pilot into a feature film. These conflicts with producers give a new level of meaning to the scenes with Justin Theroux's producers, particularly when they shut down his movie in petty retribution for a single casting disagreement (coincidentally, ABC rejected the pilot in part because Watts and Harring were "too old to be TV stars"). Of course, while these scenes are bitingly satirical of the production system, Lynch also resists the temptation to lay all the blame in the hands of executives, and Theroux's character (the director) appears just as petty and childish as everyone else. - The blue box and key are two of the film's many enigmatic and puzzling symbols. Aside from the hitman saying the key signifies the death of Laura Harring, the film tells us remarkably little about both of them. 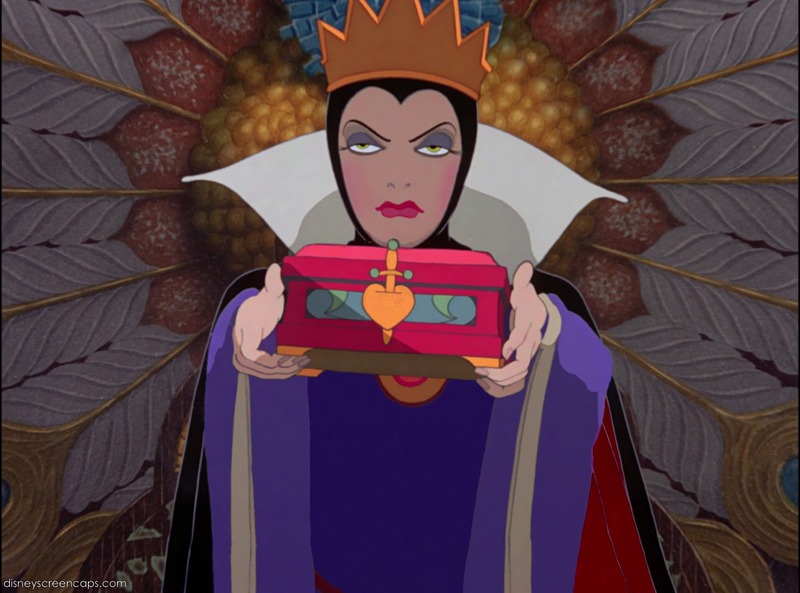 They serve as a transition point between the two narratives (when Watts unlocks the box we move from fantasy to reality), but Daniel Jensen offered an interesting theory that the box is an echo of the box in which the evil Queen traps Snow White's heart. This reading of the box as Watts's emotional vulnerability makes sense considering that the box is closed during the fantasy (Watts's heart is locked up as she tries to protect herself from her trauma) and opened in reality (where she is emotionally exposed). - I love Justin Theroux in this movie more than I can explain. - I love that the story of the dream in the diner happens exactly the way Dan describes it right after he tells Herb about it (Dan sees Herb where he says he saw him in the dream, etc.). - I love how when Naomi Watts imagines/hallucinates Laura Harring in the reality segment of the film there's a traditional shot-reverse-shot (Watts to Harring back to Watts), but then there's an incredibly jarring cut from Watts back to Watts where we expect another shot of Harring. So unsettling. I love that Billy Ray Cyrus blames Mulholland Drive for the way his daughter Miley turned out. - The ending of the film hit me harder this time than it ever has. Maybe that's the effect of seeing it in a theater, or maybe it's just that I'm older now, or maybe it's the fact that I'm babysitting my parents' cats and they wake us up unreasonably early and I haven't had a good night's sleep all week. the character of rita does not have amnesia. rita IS amnesia. 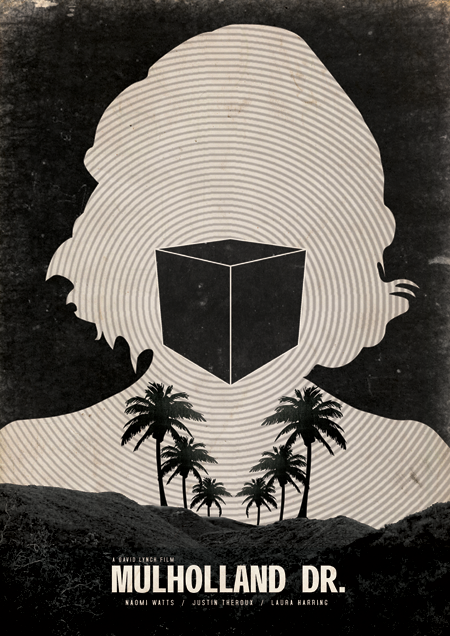 when the key is placed into the box the subconscious mind of the dreamer finally makes a connection to the conscious mind. at this point the dreamer can no longer live the fantasy, the illusion. rita the mental block is gone and the dreamer must deal with the truth, the harsh reality of her situation.